In today’s fast-moving world, transformation is key. We at Ruder Finn are focused on helping businesses and institutions transform the way you do business, go to market and communicate with the people that matter most. We believe achieving excellence today is intrinsically connected to pursuing what’s next. For our clients, what’s next means anticipating your every need today, while always reaching for a bolder future. For our people, what's next means always challenging our thinking, knowing there's no limit to what we can achieve. For our industry, what's next means staying ahead of today's innovation, while being the first to pursue tomorrow's. Every vision starts with a story. We help uncover and shape the stories that bring your vision to life. We apply critical insight to make sure your story resonates with your audience and achieves the desired response. We create stand-out content – from compelling narrative to electrifying design and video – to make sure your story is read, seen and heard. We continually build and evolve your story as you move from now to what’s next. We build meaningful connections with the people that matter. We carefully map stakeholders – from media, influencers and shapers, to customers and partners, to employees and general public – to identify the right channels and voices to carry your story. We frame and spark valuable conversations through traditional and social media channels. We construct powerful brand experiences – from digital engagements to live events – that emotionally and intellectually connect to who you are and who you will become. You can never completely control what’s next. But we monitor, manage and measure your story to help ensure that it influences the people you want, in the way that you want. We manage media channels, from owned to earned to paid, to make sure your story stays true to your vision. We employ sophisticated SEO and SEM to optimize the influence your story has on the people that matter. We proactively manage potential issues to keep your brand resilient for whatever comes next. Ruder Finn drives understanding and demand among consumers, patients, healthcare professionals and decision makers, for products, services and technological advances that transform care and lead to longer, healthier lives. Technology is at the center of transformation. Ruder Finn helps companies tell compelling stories of transformative innovation to position and sell the next generation of virtual and real-world technologies, products and services. Ruder Finn helps position companies for success in a fast-changing world by building reputation and admiration among external stakeholders and the public, as well as deep emotional engagement among employees and partners. The channels consumers use to engage with brands are changing at the speed of innovation. Ruder Finn helps brands stay ahead of that curve by transforming how brands build deep, insights-based emotional connection with consumers. We are the idea makers, the developers, the collaborators and the facilitators. We are nimble and enlightened. Every day presents new tests and new boundaries to push — and we are pumped. RF Radius provides clients with marketing/communications strategy consulting and 360° multi-channel marketing solutions, paired with cutting-edge digital capabilities and a sharp focus on measurement and insights. RF Insights employs smart data, including sophisticated SEO/SEM and predictive analytics, to monitor, manage and measure your story, help assure it reaches the people you want it to reach and proactively manage potential issues. Ruder Finn Effect specializes in activating communities around both mass social and more specialized causes, helping clients to capture awareness opportunities via high impact social, digital and traditional story-telling and story-sharing. CEO Kathy Blomgarden discusses her top 10 takeaways from the World Economic Forum at Davos. These are critical issues that are defining our society, driving our economy, and shaping global policy. NEW YORK, Sept. 17, 2018 -- Ruder Finn, a leading independent global creative and communications agency, today announced several key senior hires and new roles, strengthening the firm's focus growth in the digital, technology and multi-media marketing areas. Rowan Benecke will join Ruder Finn as the Chief Growth Officer, starting September 17. Rowan, who has more than 25 years' experience, was most recently the Global Chair of Technology at Burson Marsteller, but also held senior roles at Text100 and WE Communications. Rowan will lead global growth strategies for the agency, including business development, strategic partnerships, acquisitions and developing key client relationships. Rowan has a long history and an impressive track record winning blue-chip clients in his former roles, such as Airbnb, Cisco, Facebook, HP, Huawei, Intel, Lenovo, Motorola, NextVR, Oracle, Philips, Qualcomm, Snap, T-Mobile, Vodafone and Zebra. 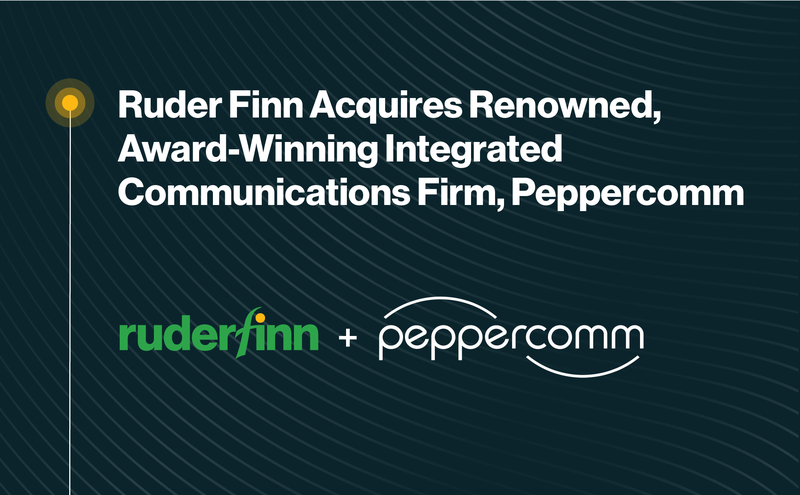 "I am thrilled to be joining Ruder Finn at this pivotal time as the agency continues to transform and integrate technology into everything they do," says Benecke. "I look forward to bringing my deep experience in both the technology industry as well as broader business development to elevate Ruder Finn's impressive capabilities and experience for established and emerging global brands." Constantine Frangos has also recently joined Ruder Finn as Creative Director, a newly created role. Constantine will bring more than 20 years of broad creative experience across advertising, marketing and digital, having worked with clients in the healthcare, consumer/retail products, mobile, food and beverage, and among others. Constantine will not only create multi-channel platforms and creative content for Ruder Finn clients, but also help the agency integrate its offerings under one creative platform. He comes to Ruder Finn most recently from W2O where he worked as Creative Director across a myriad of brands and programs. Prior to that he was Creative Director at Rocksa, a creative marketing agency. Tejas Totade will also assume a new role as Head of Emerging Technologies for Ruder Finn, focusing on Analytics and Voice. Tejas, formerly the Group VP Technology and Innovation, will broaden his focus on Ruder Finn's expanding data and analytics services and its proprietary real-time social listening tool, BEACON RF's AI targeting tool, as well as Ruder Finn's Voice offerings, including the development of Alexa Skills and more. Ruder Finn has developed several Skills for blue-chip companies, and was also nominated for 6 industry awards for its thought leadership Skill, Kathy's Thoughts. "Our recent strategic hires are a key part of our growth strategy focused on building our expertise in integrated digital, technology and marketing communications offerings," says Kathy Bloomgarden, CEO of Ruder Finn. "Both Rowan and Constantine are key talent additions to the agency and help cement our place as a leading digital technology agency that is able to flex across various communications platforms." Additionally, Ruder Finn continues to build its dynamic position in healthtech, working both with companies that are disrupting the health industry with new data offerings for better patient outcomes, as well as companies incorporating disruptive communications platforms as part of the consumer experience, using tools such as Voice technology and Alexa Skills. In June, Ruder Finn announced the hire of Fred Hawrysh to a newly created senior role in the agency as EVP, Head of Integrated Communications. The agency also recently acquired RLA Collective, a sales-driven integrated marketing agency specializing in health and wellness, including over-the-counter (OTC), nutritional supplement and medical device brands in North America. SINGAPORE — Ruder Finn has hired industry veteran Martin Alintuck as Southeast Asia MD, a newly-created position that aims to accelerate growth in the region. Alintuck, who joins at the start of October, will report to Ruder Finn regional CEO Elan Shou. After previously leading Edelman China for four years until 2007, Alintuck has also held senior roles at Grey, Kreab Singapore and Burson-Marsteller during his career. "Ruder Finn is having an extremely strong year and our Southeast Asian operations will play a significant role in the years to come," said Shou. "Martin has a great track record in building businesses, clients, people and teams – as well as terrific China and Asia experience." Previously, Ruder Finn's country MDs in Malaysia (Archana Menon) and Singapore (Yu Poh Leng) reported into Shou. Yu has now departed the firm, after eight years leading Ruder Finn in Singapore. Ruder Finn's Greater China operations continue to account for the majority of its Asia-Pacific revenue. "I am excited to join Ruder Finn given the always-changing business environment in Asia and the entrepreneurial approach the company brings to its clients and the business of communications and perception," said Alintuck. "Ruder's trajectory of success for its clients, over the last few years, is quite impressive and I appreciate the opportunity to join the team." NEW YORK, July 30, 2018 -- Ruder Finn announced today that it has acquired RLA Collective, a sales-driven integrated marketing agency specializing in health and wellness, including over-the-counter (OTC), nutritional supplement and medical device brands in North America. With more than two decades in the consumer and pet health sectors, RLA has developed and executed customized marketing campaigns – that blend the latest in digital advertising technologies with traditional tactics – for new and heritage brands sold at major drug, mass market and online retailers, including Amazon and brand-owned e-commerce. The acquisition will further enhance Ruder Finn's established, decades-long foundation in the health industry. "Ruder Finn has a deep heritage and renowned reputation in its healthcare expertise – from establishing franchise positions for companies to launching ground-breaking brands, to changing the way healthcare businesses approach and change cultures," says Kathy Bloomgarden, CEO of Ruder Finn. "The acquisition of RLA Collective will enhance our integrated healthcare marketing offerings, utilizing the latest in digital marketing technologies to reach niche health consumers." RLA Collective specializes in end-to-end product marketing, from research and strategic competitive positioning, to creative content development and execution of key brand engagement strategies, such as social media marketing, micro-influencers, geo-targeted retailer campaigns and AI digital advertising that can be measured against real-time sales data. RLA Collective has worked with heritage OTC and supplement name brands, such as Balmex, Cold-EEZE, Curad, PediaCare, Sea-Band and Viactiv to Oxy Skincare, Lanacane, ROHTO Eye Drops, Certain Dri, Cystex, Vagisil, and Cepacol, as well as many new brand introductions. Robin Russo, Founder, CEO and Partner, and Alyson O'Mahoney, President and Partner, at RLA Collective will remain on staff as co-Managing Directors at Ruder Finn. RLA will bring a team of 11 people (including Russo and O'Mahoney) to Ruder Finn, and a wealth of OTC industry contacts, including those in the retail trade industry. 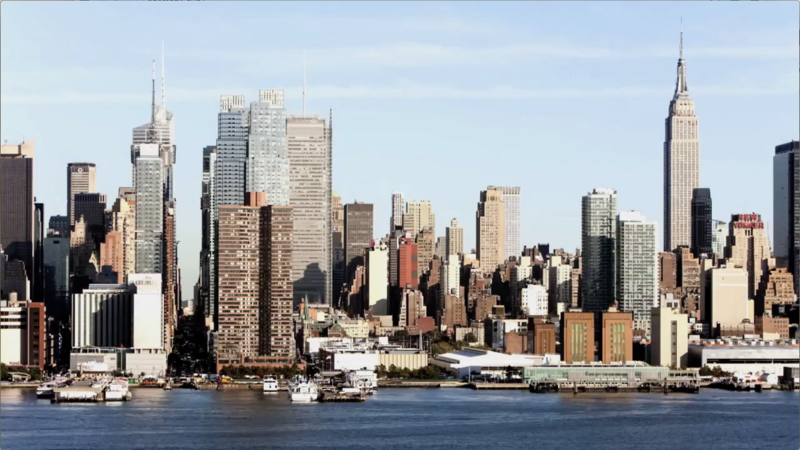 RLA Collective will continue to be based in Pleasantville, NY, but will also have space in Ruder Finn's New York office. They will use the name RLA Collective, a Ruder Finn Company. "RLA has incubated some of the latest technologies and platforms for optimized OTC brand marketing that can be tied to sales," says Robin Russo. "We are thrilled to bring our deep understanding of and success in marketing OTC products, including, FDA/FTC/HIPAA-compliant, sales-driven marketing strategies to Ruder Finn, with its many advanced resources and prestigious global healthcare client roster and expertise. We are looking forward to doing great things together." Last year, Ruder Finn announced a new healthtech specialty practice as well as, BEACON, a proprietary analytics tool that combines real-time social listening with real-world data. Today's announcement further enhances Ruder Finn's growth in both the healthcare and technology/digital space. NEW YORK, Jan. 4, 2018 -- Ruder Finn, a leading independent global creative and communications agency, today announced that Laura Ryan has joined the firm as an Executive Vice President in the Corporate Communications practice, further strengthening the group's leadership in executive thought leadership, crisis and issues strategy, and financial communications. Ryan brings more than 20 years' industry experience to Ruder Finn, both in-house and at global agencies such as Ketchum, Burson-Marsteller, and most recently, Cohn & Wolfe. She has worked with clients spanning a broad range of industries including consumer goods, hospitality, finance, pharma and food and beverage. She will be based in New York and report to CEO Kathy Bloomgarden. "Laura's broad corporate experience will bring a tremendous amount of value to the group across multiple industries and sectors," says Bloomgarden. "She has an impressive background delivering award-winning work for clients, and being able to work across multiple disciplines, including financial and crisis communications, a rapidly growing area of our corporate business." Ryan will also play a role in building current business and leading new business opportunities. "Ruder Finn has an enviable track record in corporate communications and a strong reputation amongst top executives and today's leading companies and organizations," says Ryan. "I'm thrilled to be joining such an established corporate team and look forward to contributing my background and expertise in building and protecting corporate reputation." About Ruder Finn Ruder Finn, Inc. is one of the world's largest independent global communications and creative agencies with dual headquarters in the United States and China. Founded in 1948, Ruder Finn serves the global and local communication needs of over 250 corporations, governments, not-for-profit organizations, and start-ups. The agency is organized around four strategic pillars that reflect its core areas of expertise: Health & Wellness, Corporate Reputation & Transformation, Technology & Innovation, and Consumer Connections. 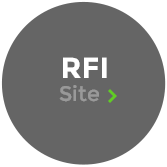 RFI Studios, the agency's full-service digital practice, leads the industry in designing and developing internal collaboration platforms, building conversations, and communities around brands, and staying top-of-mind in the world of mobile applications. The Social CEO study points to what successful leadership looks like and that the CEOs that have a greater focus on open communication and transparency tend to be more successful. This research shows just how valuable the role of communications is across CEO thought leadership on social media has become. Ruder Finn researched the social media presence of 100 CEOs from across 13 industries, primarily in technology, pharmaceuticals and consumer goods. Data was collected covering the timeframe of January 2016 to June 2017. Company performance is based on comparisons to the S&P 500 Index over the same time period. Of the CEOs researched, 50 are present on Twitter, 50 are on LinkedIn, and 13 are on Facebook. “High-performing” companies are defined as those that had above-average stock price growth against the S&P 500 Index during the research timeframe. Ruder Finn, one of the world’s largest independent public relations firms, has expanded its Asian coverage with the opening of an office in Malaysia. Against the backdrop of the fast-growing South East Asian economy, companies are seeing Malaysia as a strong market, with significant opportunities. Located in Malaysia’s capital, Kuala Lumpur, Ruder Finn Malaysia will be headed by Archana Menon, with a direct report to Ruder Finn Asia Pacific Chairman, Jean-Michel Dumont. As a full-service integrated communications consultancy, Ruder Finn Malaysia will provide clients with a range of services including branding, creative development, integrated communications ‒ digital, advertising, media planning and buying ‒ and event management. The team will work closely with offices across the Asia Pacific network including RFI Asia, the digital arm of Ruder Finn. Areas of the expertise of the Malaysian team include reputation management, consumer lifestyle, corporate healthcare, B2B communications, technology, banking and finance. The team has already secured new clients, including Prudential, Systane, Food Industry Asia and Little Lives. Archana brings to Ruder Finn extensive experience in different facets of communications, including branding, media planning, advertising, digital, ATL/BTL production, exhibitions and event management. A firm believer in strong results being achieved when the brand experience comes alive through the entire value chain, Archana has vast experience in helping clients align their communications planning, internally and externally. Archana’s clients have ranged from GLCs, MNCs, SMEs and start-up clients across a number of sectors. Some of her key clients have included Unilever, Telekom Malaysia, Khazanah, CIMB Islamic, Pfizer, Sapura, Capital Markets Malaysia and Securities Industry Dispute Resolution. Aug. 9, 2017 -- Ruder Finn today announced the launch of a new Alexa Skill called "Kathy's Thoughts" which features regular thoughts and inspirational quotes from Dr. Kathy Bloomgarden, Ruder Finn CEO. The Skill demonstrates a move toward new, experiential ways for CEOs to authentically communicate with internal and external audiences. "We are really excited to be at the forefront of voice technology and recognition," says Kathy Bloomgarden. "Technologies like Alexa not only allow us to automate communications for extended reach, but to do so in a more personal and authentic way, generating real human connection to a wide range of audiences. I'm excited to be able to offer the ability to build similar Thought Leadership Skills for our clients as well." Technology like Amazon Alexa is opening doors to more authentic connections for CEOs. While tools like blogs and webinars are still popular, Alexa is potentially the next frontier of the way leaders will communicate with their audiences in a more natural, experiential way. With the launch of "Kathy's Thoughts", Ruder Finn demonstrates a unique application of Alexa Skills by using it for CEO thought leadership. According to recent research by eMarketer, an estimated 35.6 million Americans will use a voice-controlled speaker at least once a month in 2017, a 128.9% increase over last year. The research also noted that Amazon has 70% share of the emerging voice-controlled speaker market (compared to 23.8% for Google). As a regular contributor of thought leadership to Fortune, Forbes, Entrepreneur and LinkedIn, Bloomgarden brings her latest ideas to a new medium with voice-activated content. By simply saying: "Alexa, ask Kathy's Thoughts to inspire me," users can hear Kathy's perspective on company culture, innovation, leadership, strategy and more. Ruder Finn developed the "Kathy's Thoughts" Skill with the technical expertise of Tejas Totade, Vice President of Technology and Innovation, and is a reflection of the company's focus on new and emerging technologies. "Ruder Finn is dedicated to leveraging technology and developing innovative content that transforms the way we interact with companies," says Totade. "We are passionate about voice-activated content and this new Alexa Skill speaks to the future of how our industry will engage with customers and brands." Dr. Kathy Bloomgarden is recognized as one of the most powerful women in the industry. She has been named one of PR News' Top Women in PR for two years in a row, and this year was inducted into the PR Week Hall of Femme. In 2007, Dr. Bloomgarden published the book "Trust: The Secret Weapon of Effective Business Leaders," in which she underscores the importance of building trust to a business' corporate strategy. Ruder Finn Global Survey asks: What motivates you to share a story? What motivates you to share a story? Check out the insights discovered from our employees around the world when it comes to the driving factors in digital story sharing! (New York, March 27, 2017) – Ruder Finn today launched its new RiskSTAT reputation risk management system to help corporations rapidly enhance their level of preparedness in the face of evolving risks to share price, revenues and reputation. RiskSTAT is a secure, cloud-based resource that allows organizations to identify potential risks in real time, assess and predict their potential impact, and facilitate a fast, seamless response. RiskSTAT has three tiers of activation. First, Ruder Finn customizes risk management protocols based on client needs, identifying obvious and non-obvious reputation risks with associated decision-making and response guidelines. Using real-time sentiment analysis from the social and dark web, Ruder Finn helps clients identify issues at the earliest possible stage. Second, the customized protocols are integrated into a dedicated client smartphone App (iOS and Android) that allows users to produce real-time reports and send images, video and other relevant materials from the field to designated crisis team members. User-friendly, intuitive and secure, the RiskSTAT App allows data-gathering from anywhere in an organization with immediate situational review and decision-making by the central risk management team. Cloud-based, with secure, end-to-end encryption, the RiskSTAT App ensures issues, developments, decisions and communications are dynamically updated for the crisis team, removing the need for outdated, paper-based manuals. Third, the Ruder Finn team onboards team members through an immersive, three-dimensional crisis simulation, using its proprietary, industry-recognized SONAR platform to test every aspect of the RiskSTAT system. Charles Lankester, EVP, Global Reputation & Risk Practice, Ruder Finn said today, “We have seen an extraordinary series of high profile crisis situations in the past twelve months where, time after time, senior management were widely criticized for poor crisis management capabilities. Yet in many cases, these were organizations that likely had crisis management policies in place and were confident they had been tested. The problem? Reputation risk management is too often a box-ticking exercise. Real capability is not embedded in an organization. When faced with a full-scale issue, management teams often discover the planning they have in place is close to worthless. The RiskSTAT solution is fast, effective and action-oriented, designed to identify gaps and propose practical, workable, real-world solutions.” David Ko, SVP of RFI Studios Asia, the digital division of Ruder Finn, added, “RiskSTAT is the result of years of crisis management expertise and learning distilled into an actionable, high value system, updated for the social media era on behalf of clients. The simple facts are these: reputation is now a primary global business risk but most companies are unprepared and under-resourced in the event of a problem. In many organizations, there is an illusory perception that crisis management resources, teams and protocols are in place when the reality is the direct opposite. RiskSTAT can paint a highly accurate picture of what risk management elements and assets are present and what are missing. This work also incorporates a significant predictive component, identifying potential areas for future concern and pre-emptive strategy and planning.” RiskSTAT is the first of a suite of enterprise-wide, crowd-sourcing tools being developed by Ruder Finn and RFI Studios. Kathy Bloomgarden, CEO of Ruder Finn, said, “Developing client Apps that make employee and customer engagement more mobile means we can offer an array of exciting new communications opportunities to organizations. We will deliver active listening, influencer- and idea-mapping as well predictive and prescriptive analytics. This will not only help organizations manage future risks, but will also provide employee engagement insight and opportunity as well as smart monitoring and enhancement of the customer experience.” For more information, see a video demonstration here: http://bit.ly/2lIqLfX ### About Ruder Finn Ruder Finn is a multi-award winning, global communications consulting firm. We achieve measurable business results for our clients through inspirational, data-driven counsel and campaigns. We do this by combining science and art to engage with those vital to our clients’ success. A dynamic, digital, action-oriented, acquisitive business operating across the United States, Asia-Pacific and Europe, we employ over 550 people worldwide and represent Fortune 100, Government, NGO and individual clients. RFI Studios is Ruder Finn’s worldwide digital marketing division. Our services include strategic consulting, brand-building, experience design, social and messaging platforms, immersive virtual and augmented reality storytelling, web and App innovations, insights, analytics and corporate skills development. With over 60 digital experts working across six offices worldwide, RFI Studios represents leading global brands and corporations across the luxury, automotive, healthcare, corporate, consumer and technology sectors. Disruption. Transformation. Reinvention. At Ruder Finn, we transform reputations, ignite engagement within companies and excite customers as the world rapidly changes every day. Our 65+ year history gives us the creative energies and imaginative forces to shine a light on problems and discover new possibilities that unify people toward a common solution. © 2019 Ruder Finn, Inc. All rights reserved.